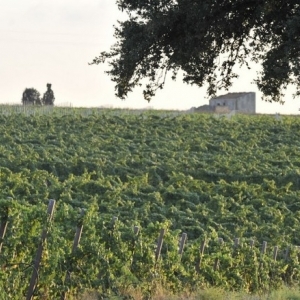 The winery “Poderi Parpinello “and the vineyard were born from the Parpinello family passion for vines and wine; a love that has grown over three generations. 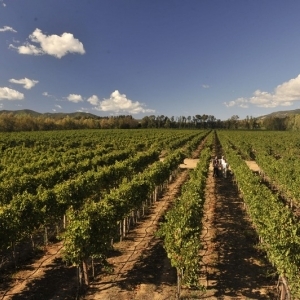 The company has one main goal: to implement years of professional experience in the cultivation of high quality grapes and to produce wines of particular flavours and characteristics. 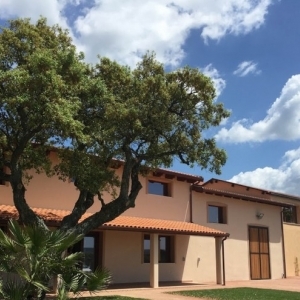 To do this the company utilizes the most modern winemaking technology available today, with the aims to maintain the respect for the typicity of the wines, while at the same time reinforcing the connection to the Sardinian territory. 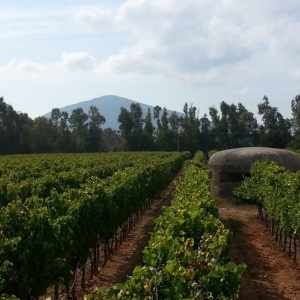 The company is currently run by father Giampaolo Parpinello and son Paolo, who together cultivate over 18 hectares of vines, soon to be increased to 30 upon completion of the plant. 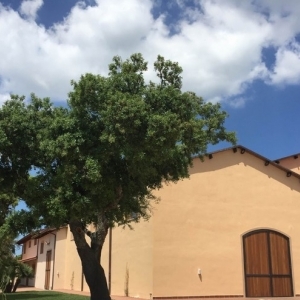 The cellar is located in the locality named Janna de Mare and is surrounded by olive groves and vineyards that stretch out on a terrain of calcareous marne, conglomerate and sandstone, the perfect combination to ensure excellent quality wines. We implement the newest innovations in our cultivation methods, with respect to tradition and the ecosystem of our geographical location. The most important factor, however, is the creativity, passion and extensive experience of over 50 years in Sardinia of the oenologist Giampaolo Parpinello. Vermentino di Sardegna DOC "Ala Blanca"
Vermentino di Sardegna DOC "Sessantaquattro"